A Freewheelin’ station in Denver. A bike-sharing program that started as an employee perk for Lousville, Kentucky-based Humana Corporation has taken the national stage this week. Humana — a $30 billion a year, 9,000 employee health insurance company — has partnered up with Bikes Belong and a host of bike manufacturers to set up their Freewheelin’ bike-sharing system at the Democratic National Convention (DNC) that wraps up in Denver tonight. Freewheelin’ first popped onto the bike movement’s radar when CEO David Jones spoke about it at a speech at the National Bike Summit back in March. 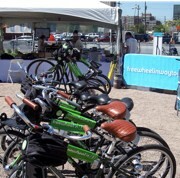 As I first shared back in July, Bikes Belong and Humana brought 1,000 bikes spread across seven rental stations to help DNC attendees get to and from the week’s events. I caught up with Bikes Belong’s Executive Director Tim Blumenthal on the phone yesterday in his Denver hotel for an update. And of course, a smattering of Hollywood celebs have stopped by including Matthew Modine (who’s launched a rather interesting bike initiative himself) and Darryl Hannah. One interesting tidbit I wasn’t aware of until I saw it on Cyclelicious the other day was that Bikes Belong worked with the City of Denver to install permanent sharrow markings through downtown Denver in advance of the convention. Blumenthal said they began working on them with the Mayor of Denver’s Bike Advisory Committee about seven months ago. As of yesterday afternoon, Blumenthal says convention-goers have logged about 4,000 rides and 16,000 miles on the bikes (their goal was 5,000 rides and 12,500 miles). After tonight’s big nomination speech by Barack Obama, Bikes Belong and Humana will pack up the bikes and head to St. Paul for the Republican National Convention which begins next week. With the success of Freewheelin’ in Denver, and its backing by Humana and Bikes Belong, perhaps the City of Portland will consider Freewheelin’ as the “way to go” for our bike-sharing plans. 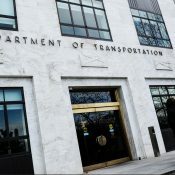 For more on Portland’s plans for a bike-sharing system, see my coverage archives. Anyone know if helmet and lock are included by this program or similar European programs? 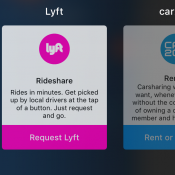 I\’m excited to compare the numbers of rides and miles logged in Denver with those in St. Paul. I\’ve used a Freewheelin\’ bike everyday this week in Denver. Just about to go out for a ride again. Helmets and locks are available for free. Just have to bring everything back. 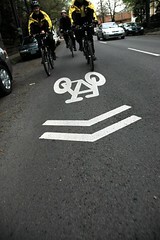 When is Portland finally going to expand implementation of sharrows markings? Sharrows send a clear message to motorists that cyclists are allowed to take the lane, and can be used on streets that don\’t have enough room for both curbside parking / curb extensions and bike lanes. It seems like a no-brainer to me, why is PDOT so resistant to this idea? i think this will happen soon… not a matter of if, just a matter of when. I\’m not sure exactly what the holdup is (I will ask Roger Geller soon)…. but I know for a fact that not everyone at PDOT is \”resistant\” to them. the fact that they haven\’t rolled a bunch of them out yet doesn\’t mean they\’re opposed to them… often things like bureaucracy, budgets, overworked employees with many other projects to tend to, engineering technicalities, etc., get in the way of things folks want to do. I still find this highly amusing considering this Denver Police Bulletin: http://www.cyclelicio.us/2008/08/denver-police-rei-is-terrorist-den.html What is the Freewhelin\’ program if not a \”large stockpile\” of possible terrorist implements. I\’m truly surprised that the police did not just shut them down right away. maybe everyone at PDOT isn\’t resistant, but that matters very little when the head engineer that must approve the use of sharrows IS resistant. I\’m talking about something a bit more than marking the bike boulevards. I\’m talking about sharrows on SE 11th and 12 from SE Powell to Burnside, SE 30th from SE Harrison to Stark, E 28th from Stark to Broadway, those segments of SE 26th between SE Powell and Harrison that don\’t have bike lanes, and Hawthorne Blvd. from SE 12th to SE 50th, for example. You probably mean the Mayor of Minneapolis, not the mayor of minnesota. 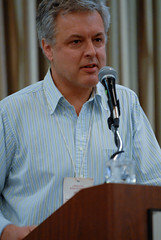 R. T. Rybak is a huge advocate for bicycles, and he\’s also a pledged Obama delegate. I second the sharrows question. They installed them on 18th/19th in NW Portland; I believe that EVERY bike boulevard in the city should be marked with them (and not those ridiculously small symbols that nobody can see). Sharrows are very silly. And not as effective as many may think.Most, including drivers, wouldn\’t even realize what they mean. Whatever became of the bike ban at the Convention site? WAs this a non issue or not true? Also, with the shared bikes, what are they doing about lights? How do they keep batteries charged? Or do they use generators? I think that was misconstrued by a few media outlets. The \”ban\” was Homeland Security making a vehicle-free zone around the perimeter of the venues… a typical procedure. And cars were also excluded from these areas. So yes, a non-issue. the bikes are due back at the rental stations by 7:00pm so I don\’t think lights are an issue. 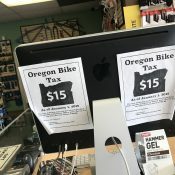 I really liked the positive coverage of Freewheelin\’, but I think that BikePortland\’s reporter missed a big component of the story in not covering the local advocacy community\’s involvement in it. Humana and BikesBelong definitely are the driving force, without them, this wouldn\’t have happened. However, the Sharrow plan was already in front of the Mayor\’s office with details on which streets to complete, which represents about two years of work from BikeDenver and the Mayor\’s Bicycle Advisory Committee. It was the final political pressure from Freewheelin\’ that made the street markings happen as fast as they did. I\’m glad to see that Denver is finally getting recognized as the bicycle friendly city that it is. Thanks so much for the great coverage of freewheelin – from the beginning! We were absolutely thrilled about the reception the program received in Denver, and are equally excited about how things will go in the twin cities. For those who are interested in \”Seeing\” the experience firsthand, we\’ll have webcams on all seven stations in the twin cities posted on our community page . . . http://www.freewheelinwaytogo.com/community. I\’m now living in Barcelona, where they have a fantastic bike sharing program called \”El Bicing\”. It costs 24 euros ($30) a year to residents, where the first half hour of each ride is no extra cost, after a half an hour it is something like 50 cents per half hour, which is fine since almost all trips are under a 1/2 hour. The stations are all over the city and are well placed, though sometimes they fill up in popular places. It\’s not available to tourists, which I\’m told is because the bikes need to be seen as a serious transportation option, as opposed to a tourist attraction. People seem to know about the paris system, but I had never heard about the one here in Barcelona until I moved here. But if anyone ever has a chance, come to BCN and check it out. In Barcelona the system city pays a few million a year to make it operate. Of coarse it doesn\’t cost much to run a fleet of bikes, but the operator of this system thinks they are the only model of bike share. NOT TRUE. The Bike Share in Denver and now in St. Paul both have one major difference, people are involved in the rental check out process. Humana has over 50 people working to check out bikes to riders. The experience is incredibly welcoming, and every possible question is answered, the potential rider is relieved of worries. This program is the same as what Paris did for years before the roll out of the streetside Velib. Paris provided the \’Roue Libre\’ bike system to the public from storefronts around town, with helpful persons to fit and handle bike issues. Making bikes acceptable as a piece of transportation infrastructure at locations called \’Mansion de Velo\’ is what got the public used to using Bike Share. If we in America want the success of Paris, we should roll out as Paris did; Bike Share storefronts with personnel first (like Humana, LibraryBikes and others are doing); Automatic bike share racks in the streets second. 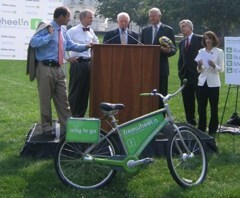 Bike Share is definitely on the national stage now! Here in the Twin Cities, the bicycle system is getting tons of use. 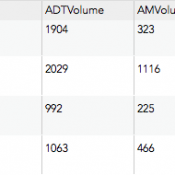 I would argue that Minneapolis is almost as bike-friendly as Denver, and that significant civic, metropolitan, and regional entities are really pushing the bicycle usage. Remember that for every one Republican (or Democratic) delegate, conventions bring a handful of journalists, hobnobbers, and services; throw away your notions that the Twin Cities won\’t see as much usage of the bike system because of the stereotypes of the Republican Party. The Mayor of Minneapolis even led a group on a bike tour Tuesday morning. whatever happened to the yellow bike program in portland? It seems like with a little more support that culd have been a pretty cool thing. Did all the bikes end up in a swap meet in LA?